When I first visited the “Paris of South America” in 2007, my sister Sarah (my fashion guru–check out her style and design blog!) and our friend Ashley went on a bit of a shopping binge. At the time, the dollar was strong and the city was emerging as a bona fide fashion capital. We bought everything in sight during our whirlwind week–strappy, sky-high tango shoes, buttery leather jackets, the most perfect handbags we’d ever seen–but it wasn’t until we discovered the aptly named clothing boutique Rapsodia that our shopping frenzy was truly unleashed. We had read in a fashion magazine that Argentine women swore by Rapsodia’s amazing denim line, boasting bum-hugging jeans of the heart-stopping-perfection variety. And after seeing some real-life women on the streets of BA sassily sporting them, we knew we must seek out this temple of denim. Once we did, we were hooked. Not only were the brand’s jeans gravity defying (I still have the pair I bought there six years ago and wear them to this day!) but the store was filled with other gorgeous clothes, and the ambiance felt as though I were simply raiding the overflowing closet of celeb style icon Sienna Miller or maybe that of my chicest friend. It was bohemian…festive…whimsical. 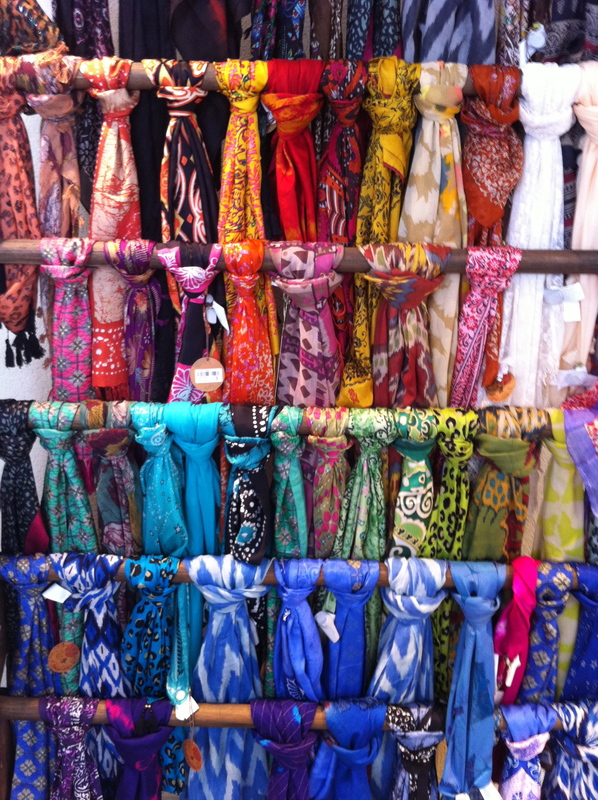 I died at the sight of the scarf wall, a waterfall of silks, cottons and linens cascading happiness on me like a tumbling wave of color. The jewelry section was also top notch, and we walked away with armfuls of beloved bangles galore–what have become my favorite bangles of all time. 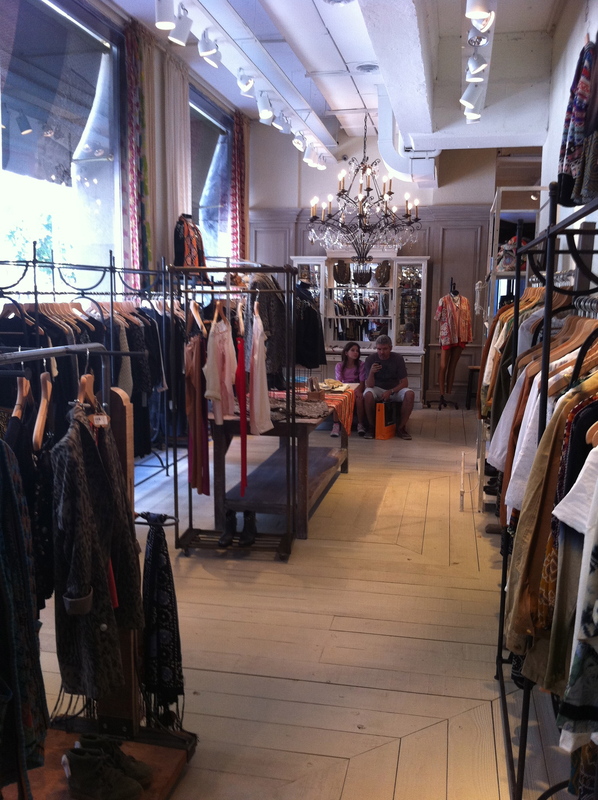 In fact, when I returned to Buenos Aires earlier this year, I made a beeline for Rapsodia. It was everything I remembered. 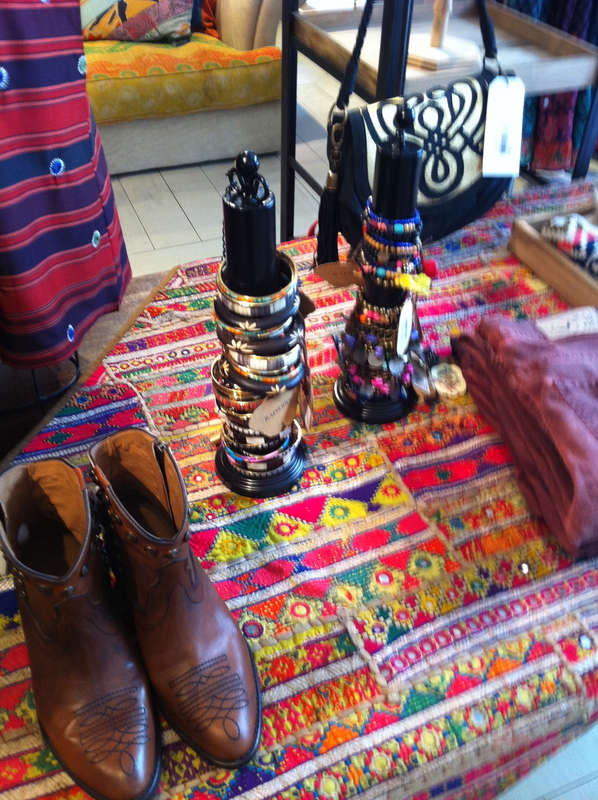 I even found bangles of the exact same style (thought the color scheme had been updated to fit Spring 2013 sensibilities). Very sadly, Rapsodia does not sell it’s wares online, but you can still glean inspiration from the alluring virtual look book. On the up side, it’s lack of international shipping makes for a perfect reason to start planning that trip to Buenos Aires that you’ve always wanted to take. Tango, anyone? 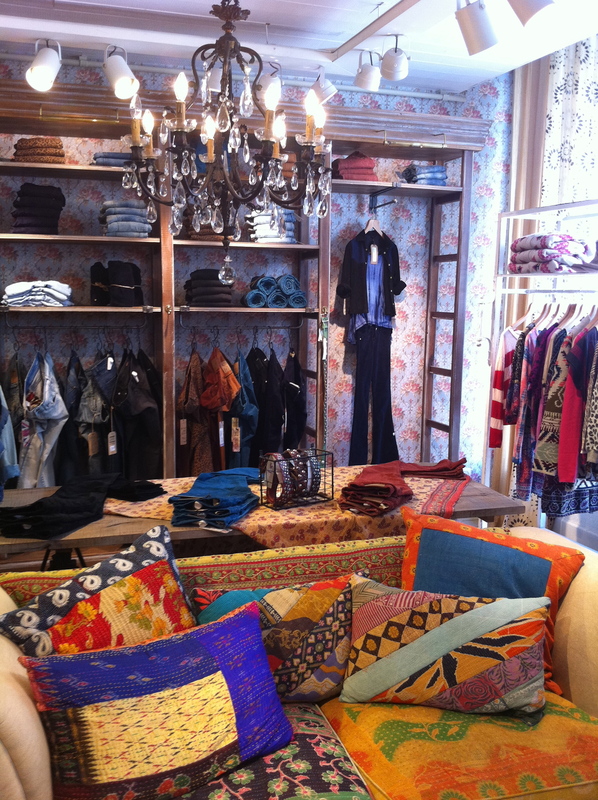 Besides Argentina, Rapsodia boutiques have expanded into Chile, Uruguay, Mexico, Brazil, Colombia and Venezuela. Find locations here. Good question, Bagtha, but Rapsodia doesn’t actually sell their clothes online–I wish they did too! You’ll just have to plan a trip to South America! Hi , Does Rapsodia have a sourcing office in India. I am from India and wish to visit them.